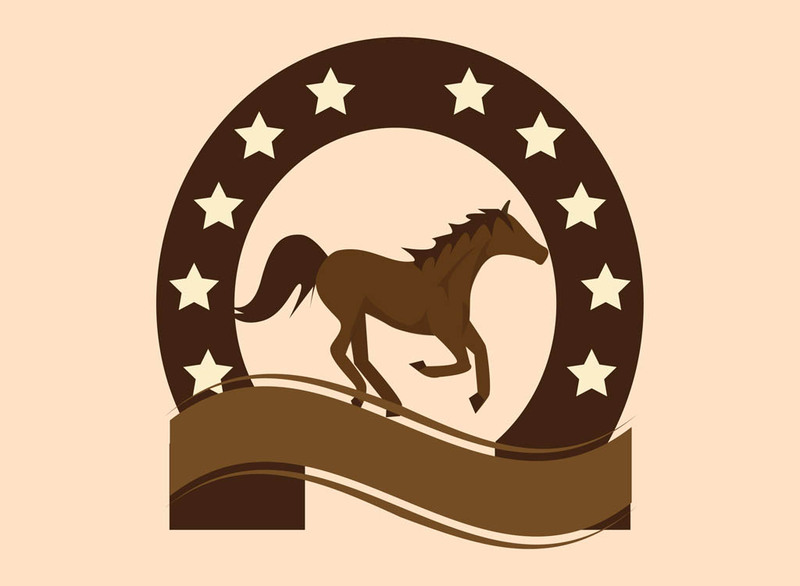 Animal vector logo with a running horse and a horseshoe. Silhouette animal framed by the horseshoe. Waving ribbon and stars for decoration. Free vector equestrian design to create horses, animals, farming, livestock, horse riding and jockey designs. Horse layout for logos, icons and labels. Tags: Animal, Cowboy, Horse, Icon, Logo, Ribbon, Rodeo, Stars.